Humma Cranes are Australia's largest capacity, most advanced pick and carry cranes. 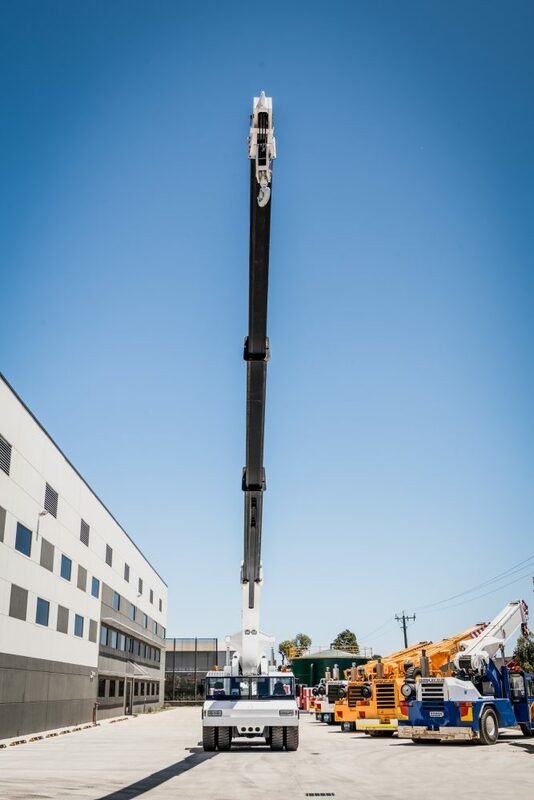 Humma Cranes are built in WA to suit Australia's toughest operating environments. Full in-house servicing and rebuilds for all major crane brands. DRA Engineering has been designing and building the range of Humma Cranes since 1996. The original design brief came directly from industry consultation: Build the highest safe capacity, with longest fully powered boom and smoothest riding cranes available. DRA has kept that original brief in mind to produce the 18T, 20T, 25T, 35T and now, the new 55T crane. Each model comes with class leading technology plus a range of industry firsts. 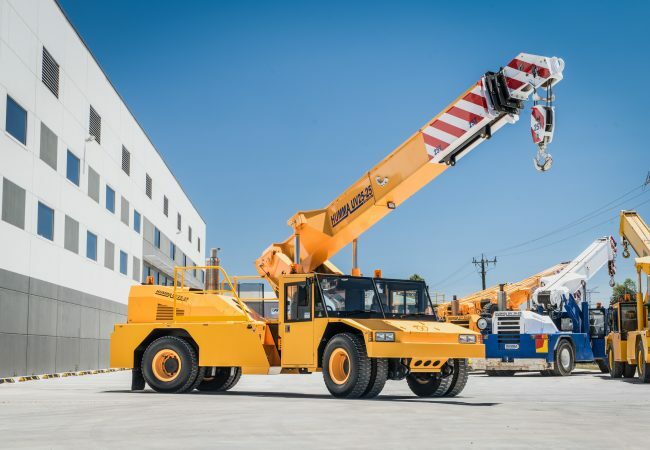 The focus on operator safety and comfort, low maintenance costs and high lifting capacity has made Humma cranes a market leader. DRA prides itself on supplying the right crane for the right job. Each crane can be customised to the end user's requirements with a range of extras from handrails, spare wheels to safety interlocks. 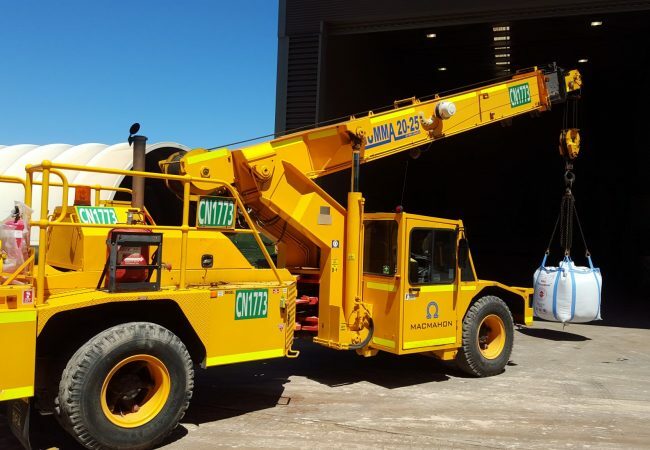 The Humma 20-25 Crane is an articulated pick and carry crane that set the industry benchmark for 20T cranes. 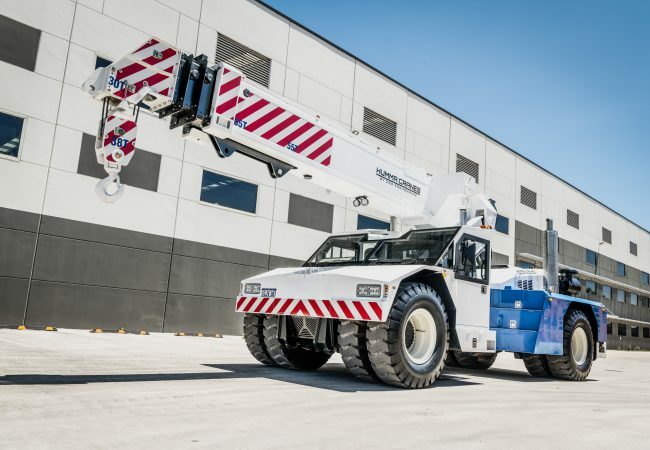 The Humma 25-25 Crane’s modular design allows for a mobile pick and carry crane that combines all the features of the Humma 20-25 but with increased lift capability. The Humma UV35-25 35T crane is a highly versatile, high capacity pick and carry crane. The emphasis has been placed on operator safety and comfort while still retaining the toughness of a mine specialised vehicle. 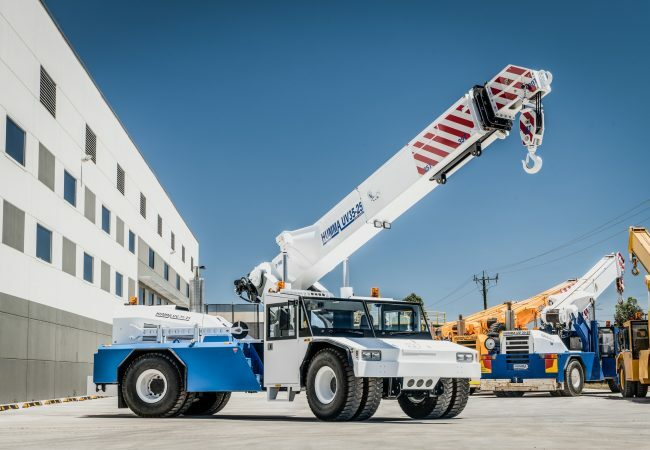 The Humma 55-25 55T crane combines the highest lifting capacity and dynamic leveling suspension to create the safest pick and carry crane available. Humma cranes are high performers, built for purpose to exacting standards. Fully powered and longest reach boom in their class. Digital rope compensation allows for easy winch rope changes. Automotive spec ISC Cummins engine provides increased efficiency over industrial engines. Reduced fuel usage equals reduced running costs. Airbag suspension provides a smooth, quiet ride with excellent stability. The safest choice for high speed road use. Independent noise testing at below 85db(A). Extremely quiet cabin. Over sized AC system, 4 full colour cameras, large colour digital instrumentation display and separate LMI display. Dual air seats. Large, full-capacity winch with grooved drum and tensioner. Designed for rated line pull in outer layer. Dynamic load charts with stationary mode. Load charts dynamically calculate SWL for every individual position and articulation. Gives great flexibility giving operators the maximum lifting potential at each position. Stationary mode for extra capacity when not mobiling. 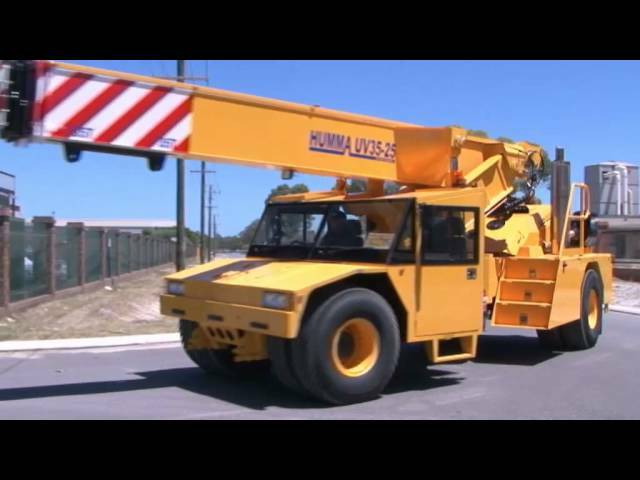 Humma Cranes are built in Western Australia to suit Australian conditions. They’re some of the toughest conditions on the planet which is why our cranes are made bigger, stronger and tougher.